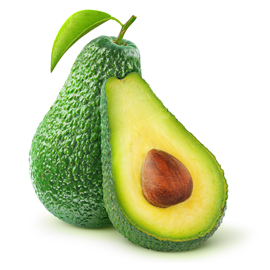 Avocados are loaded with monounsaturated fat which can help lower cholesterol. It is also high in vitamin E and potassium, both of which are essential to keeping your look youthful. Living in Beverly Hills, Bakersfield and nearby areas gives you access to fresh, local avocados. Blackberries, blackcurrants, black grapes and blueberries all contain flavonoids which are a powerful antioxidant that helps protect the body against aging. Cabbage, broccoli, kale, brussels sprouts, cauliflower, radishes, turnips and watercress are all in the cruciferous vegetable family. Eating at least 4 ounces of these each day, either raw or lightly cooked, will help your body fight cancer and toxins that can make you look older. Garlic doesn’t just keep vampires away; it can also keep heart disease and cancer away. Studies have proven that eating one clove of garlic at least once per week can cut your chances of getting colon cancer in half. Garlic also reduces cholesterol levels. Ginger not only aids the digestive and circulatory systems but it can also lower blood sugar and may help alleviate the aches and pains that accompany getting older. Nuts are dietary power houses, though they can be high in fat and calories so choose wisely. Walnuts and Brazil nuts are especially loaded with all the things your body needs to age gracefully. Not to be confused with the salt laden soy sauce, soya can help alleviate menopause symptoms, and can fight against osteoporosis, heart disease and Alzheimer’s. Complex carbohydrates provide energy to our bodies and are a healthy part of any medical weight loss plan. Enjoy brown rice, whole wheat pasta and other unprocessed grains. Watermelon flesh and seeds are loaded with vitamins and minerals that fight against aging and damage from free radicals. Water flushes toxins from the body and keeps skin looking youthful. Drink at least 8 glasses of water a day and enjoy foods that contain large amounts of water.